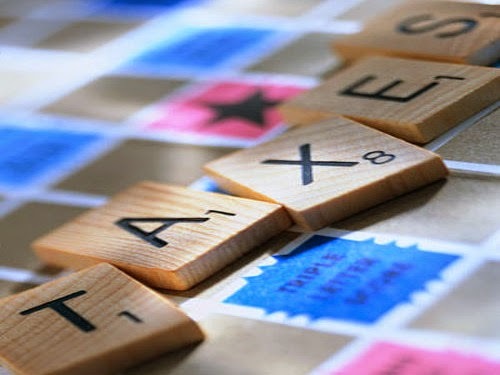 Tax evasion is a big deal in many countries, the United States and the United Kingdom are one of such countries and examples are made out of tax offenders in a bid to discourage others from following in those footsteps. Taxes are used to improve infrastructures and state facilities in a bid to provide for the populace and its very important as it is a big source of income for governments. Roads, bridges, hospitals and different social amenities are built from our taxes and as such it’s very important that we all pay our taxes in time. The law providing for the collection of tax in Nigeria is the Personal Income Tax Act otherwise known as PITA. The Personal Income Tax Act, CAP P8, LFN 2004 is an enactment levying tax on individuals, communities and families and on executors and trustees, and to provide for the assessment and collection and administration of tax in Nigeria. The PITA is imposed on virtually everybody including – persons in any of the Nigerian armed forces and officers of the Nigerian foreign service; every resident of the F.C.T, Abuja; and persons resident outside Nigeria who derive incomes or profit from Nigeria. In the case of individuals other than those mentioned above and itinerant workers, tax for any year of assessment may be imposed only by the state in which such individual is a resident. I bet you must know that tax evasion is a crime and many people, even Hollywood celebrities have been sent to jail for evading taxes and Nigeria like all other countries frowns extremely at the act as well. For instance, Section 95 of the Personal Income Tax Act in subsection 1 states that any person who without reasonable excuse makes an incorrect return by omitting or understating any income liable to tax; or gives an incorrect information in relation to a matter or thing affecting the liability to tax is guilty of an offence and liable on conviction to a fine of 10% of the correct tax and double the amount of tax which has been undercharged in consequence of the incorrect return or information. Furthermore, according to Section 96 of the PITA, any person who for the purpose of obtaining a deduction, set-off, relief or an overpayment in respect of tax for himself or any other person, knowingly makes false statements or aids or induced any other person to make a false return, prepare false accounts or particulars or unlawfully refuses or neglects to pay tax is guilty of an offence and liable on conviction to a fine of N5,000 or imprisonment for five years or both such fire and imprisonment. If from the foregoing, you intend to engage in tax fraud or any form of tax evasion, you should have a rethink. It is also important that we all pay our taxes and I hope you are doing that already.